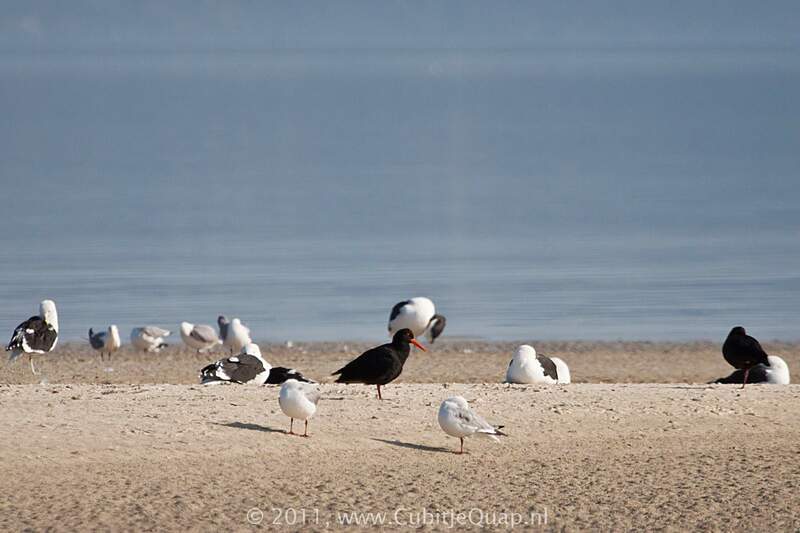 Easily identified, this large, all-black wader has a bright orange bill and eye-ring and dull pink legs. Some adults have small white patches on the underparts. Juvenile is duller, appearing faintly buff-scaled, with a duller orange bill tipped with brown the legs are grey or greyish pink. Stricktly coastal; may be encountered along any shoreline, estuary or lagoon from northern Namibia to southern KwaZulu-Natal. Usually in pairs or small flocks. They are long-lived, up to forty years or more, and their reproduction is slow. With longterm pairing they raise only one single chick (because they are long-lived, they need to do this only once every three years). The chicks leave their parents within 24 hours of hatching. 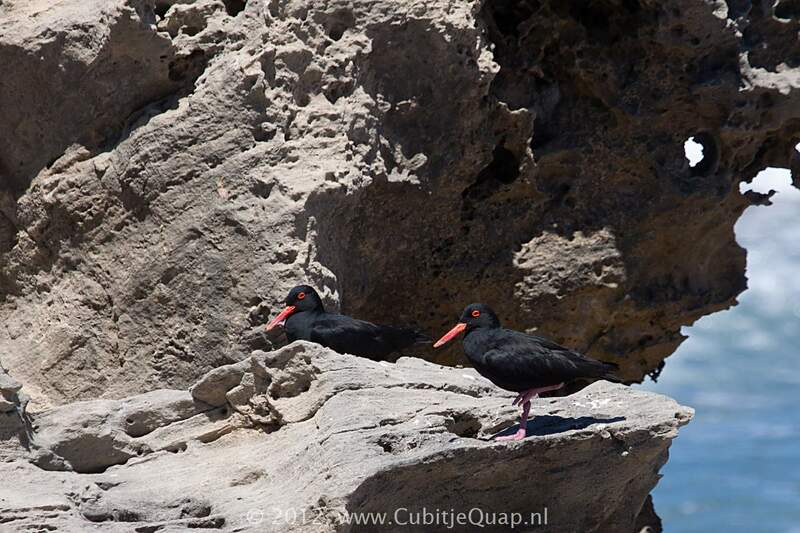 They rely on their partents for food for some months, due to mussels being too difficult for them to prise off the rocks and open. 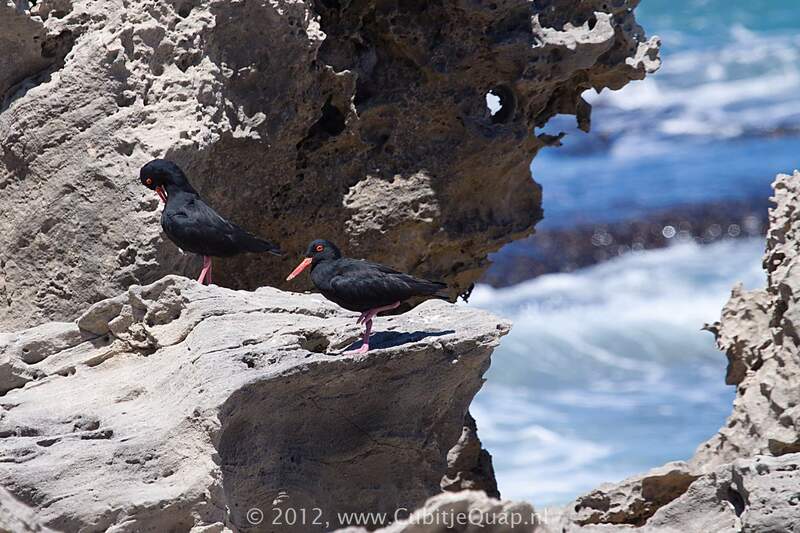 A 'klee-kleeep', similar to that of Eurasian Oystercatcher, and a fast 'peeka-peeka-peeka' alarm call. Display calls more complex, including rappid trilling.